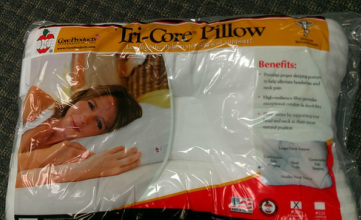 Cervical Pillows from Core Products International, Inc. provides proper sleeping posture to help alleviate headaches and neck pain. They promote improved sleep by supporting your head and neck in their most natural position. Questions? Call Dr. Khristi Otto today (920)915-8011.